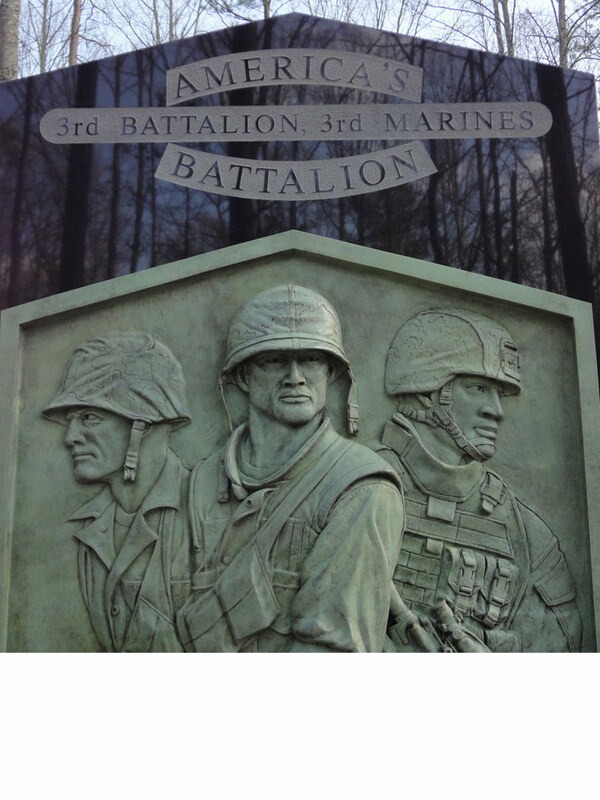 ﻿ Robert Eccleston, commission sculptor of unique low and high bronze bas-reliefs for memorials and national museum of the Marine Corps. Bas-Relief sculptures are drawings in the form of a sculpture. Bas-Reliefs are offered in low to high-relief. Low-Reliefs are flatter and use perspective to give the sense of dimension, while high-reliefs are deeper with elements that stand proud of the background giving it a true 3 dimensional look. Most reliefs are a combination of the two. 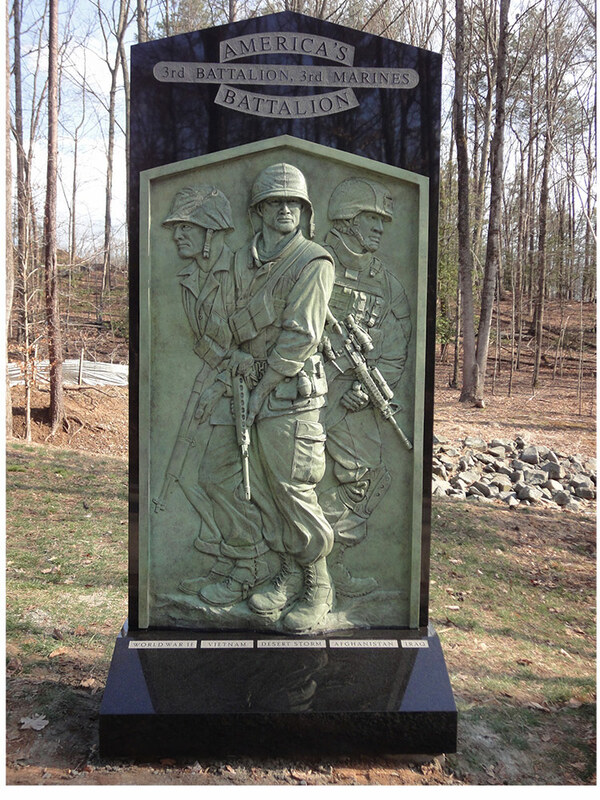 Depending on the design, size and material, bas-relief sculptures can be a more cost effective option for your memorial. 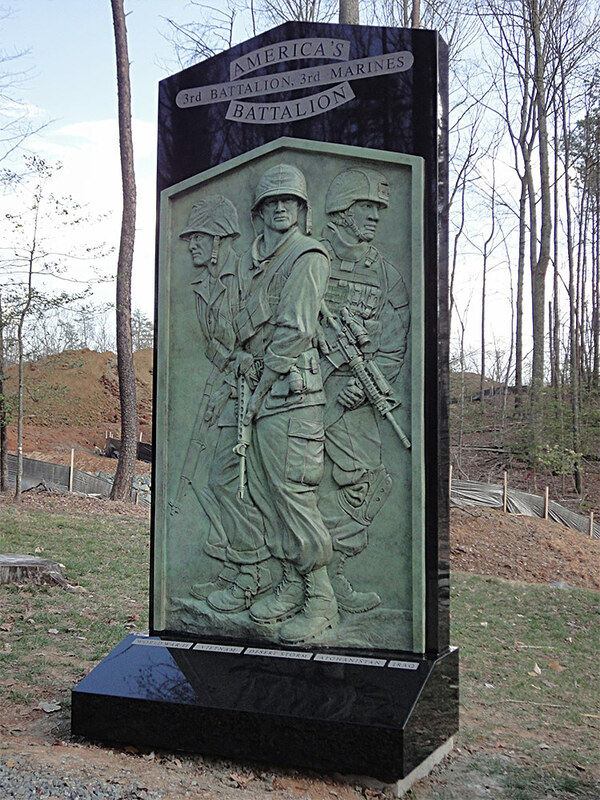 This memorial honors the Marines of "America’s Battalion" who fought and died during, WWII, Vietnam, Desert Storm, Afghanistan and Iraq.